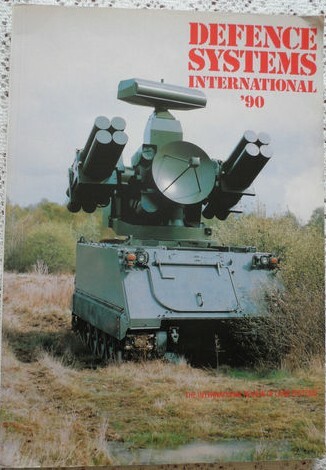 Defence Systems International ’90 covers a large spectrum of weapons technology of the era, ranging from the main battle tank, the capabilities of it’s companion on the battlefield,the attack helicopter, to the latest in personal and collective protection. Military experts discuss the latest development in tank design, including the Abrams, the Challenger 2 and the Warrior. There are numerous articles on firepower, including the Merlin, advantages of combustible cartridge cases, a comparison of launched grenades and the manufacture of rocket motor cases. There are articles on the US Army’s latest latest special operations helicopters and much, much more. The book is profusely illustrated with black and white photographs. The card covers are in vg condition, clean, with a little creasing to the corners and bumping to the spine. the binding is secure and tight. Inside, the content is clean and in vg condition.